He died of acute renal failure at Mount Sinai Hospital early this morning, his family said. 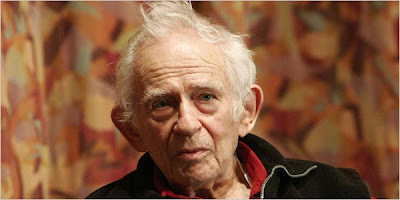 Mr. Mailer burst on the scene in 1948 with “The Naked and the Dead,” a partly autobiographical novel about World War II, and for the next six decades he was rarely far from the center stage. He published more than 30 books, including novels, biographies and works of nonfiction, and twice won the Pulitzer Prize: for “The Armies of the Night” (1968), which also won the National Book Award, and “The Executioner’s Song” (1979).